Hoke's Mad Magicians: The Fab Five Wins A Championship? The Fab Five Wins A Championship? In fitting end to the NBA Finals, both Lebron James and Juwan Howard won their first NBA titles. Lebron had struggled under enormous pressure to win the title, just as Howard and the Fab Five had suffered under intense scrutiny at Michigan. This accomplishment will be something that plays an enormous factor in shaping both of their legacies. It's an incredible event for basketball, but why am I bringing this up? The main reason I'm discussing this is because of its place in the Fab Five's legacy. When the Fab Five originally formed on Michigan's campus in the fall of 1991, they had high hopes. They were one of the first groups of freshmen that composed the entire starting lineup for a team. Not many teams in college, even now, start five freshmen at once. The Fab Five redefined the role of freshmen forever when they did this very thing. But it wasn't that they started them that made the difference, but the fact that they did well when they started five freshmen, going to two straight national championship games. Despite appearing in two straight national championship games, the Fab Five never won a championship at Michigan. Following their sophomore year, Chris Webber entered the NBA Draft and the rest followed over the next several years. Chris Webber and Jalen Rose had very accomplished NBA careers, but neither won a championship in the NBA. Jimmy King had a short NBA career and Ray Jackson never actually made an NBA roster. 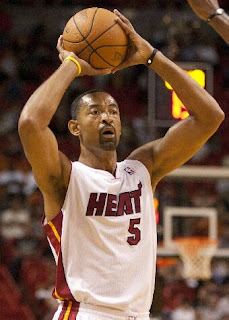 This left one player with hopes of a title, Juwan Howard. Howard had a great career at Michigan and followed that up with a great career in the NBA, including making the All-Rookie 2nd Team, the All-NBA 3rd team, and being named to the NBA All Star team in 1996. He may not have been Michael Jordan, but those are some pretty respectable accomplishments. What added even more to his legacy is that he was still playing during the 2011-2012 season. That's almost two decades of NBA play. Something that isn't accomplished all that often in a league that seems to pride itself on youth. Although Howard had such a long-lasting and respectable career in the NBA, he was still not able to get that elusive championship ring. Many NBA players go their entire careers without a ring, but what was so surprising about Howard and the Fab Five was that they had come close on so many occasions, but had come away with nothing. It's one thing to be a great player on a bad team, but they were often on good teams, but just could never do it. The most notable occurrence of this was when the Fab Five missed winning in both the 1992 and 1993 national championship games. Along with this, Jalen Rose's Indiana Pacers squad made it to the NBA Finals in 2000, Juwan Howard's Heat team made it to the NBA Finals in 2011, and Chris Webber was on several teams that made deep playoff runs, but were just never quite capable of getting over that "hump" to win a championship. When Juward Howard and the Heat won the 2012 championship, the team not only broke Lebron's infamous ring-less past, but they also broke the Fab Five's legacy of no championships since they formed. In what will likely be Howard's final season, it's a fitting end to his career and that of the entire Fab Five. They may never have won for Michigan, but they did finally get something. Howard wasn't a major contributor by any means, spending most of the time on the bench, but he still finally ends a season with celebration and not defeat. This is not something that should overshadow the accomplishments of the Heat and their starters, notably Lebron, but it is something that's noteworthy for Michigan fans. Not because it does anything special for the school, but because it finally gives a ring to a Fab Five member. 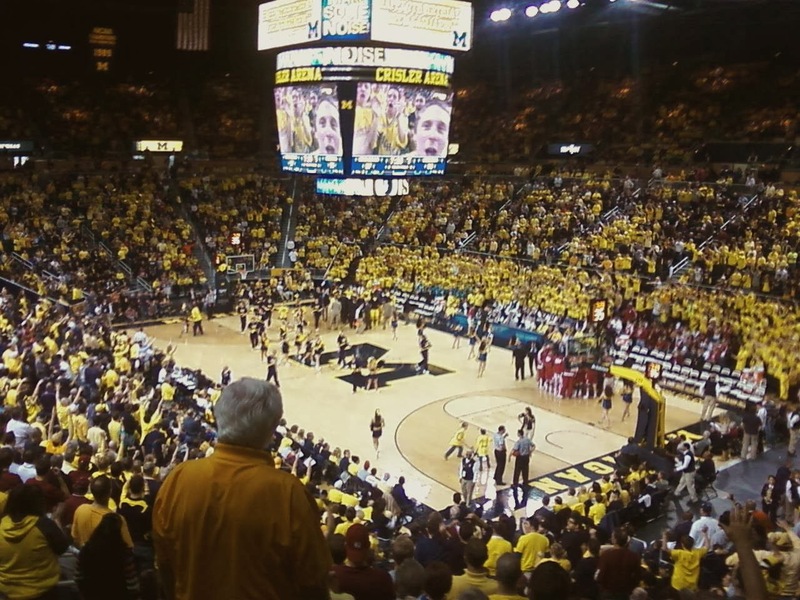 They did a tremendous amount for Michigan and the school's basketball program. The school may not be able to recognize most of them in an official status, but there's no doubt that they left their mark and it's great to see at least one of them get an award on that court. It's not a title for Michigan, but given the circumstances, I'll take it.